It was Gautham Vasudev Menon, who first offered her a full fledged role, that exploited her performing abilities and her acting skills, with #Jessie in #VinnaithandiVaruvaya (2010). However, everything that came later, never lived up to the impact created by Jessie, and barring few roles like Hemanika of Yennai Arindhaal (again, #GVM), the scheming politician Rudra of Kodi (which could have been better), Mallika of Thoongavanam (her 50th flick), nothing exciting happened in her career. 2018 began with a beautiful debut in Malayalam, with #HeyJude, where Trisha portrayed Crystal, a girl with bipolar disorder, and after a forgettable Mohini, is back with "96". The debut directorial venture of Premkumar, had created expectations ever since the teaser and the trailer were out, and Trisha's performance was expected to be one of the biggest highlights of the movie, and that, has now become a reality as well! 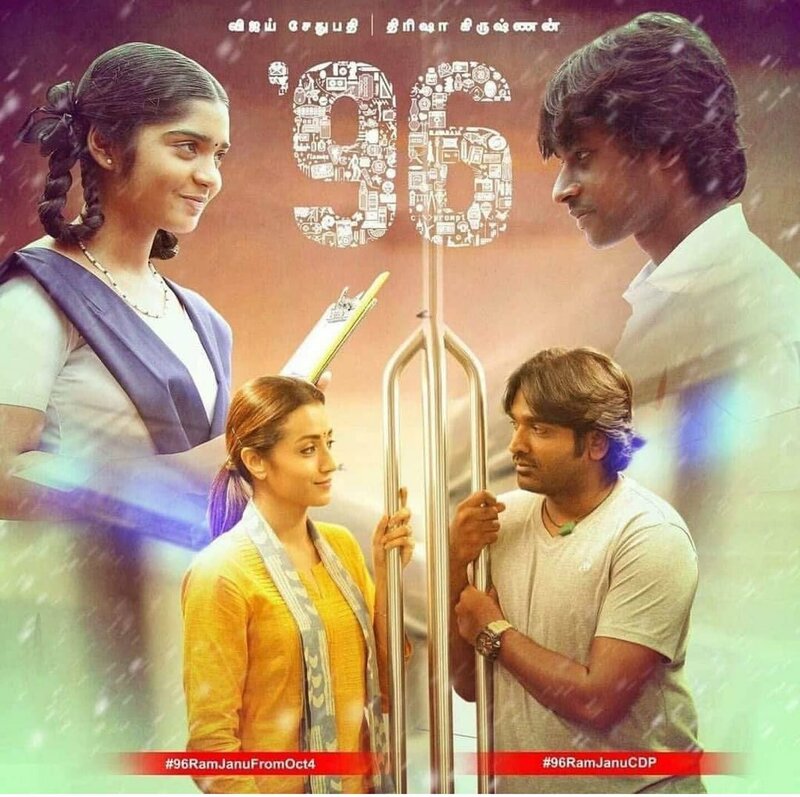 96 has Trisha playing #Jaanu / Janaki Devi, who gets to meet her school love, Ram (played by an effortlessly attractive and cool #VijaySethupathi). 96 gives Trish, the best entry she's ever had in her whole career - the crowd bursts out loud, clapping, whistling and roaring (due credits to Govind Vasantha for the amazing violin bit from Kaadhalae that beautifully complements the pretty Jaanu), and its sheer goosebumps, as Trisha arrives as Jaanu on screen. The eyes that search for her K Ramachandran, even as she's surrounded by her best friends, the disappointment on knowing Ram's marital status, the cute prankster smile as she asks Subhashini if she should check Google maps, the excitement and surprise filled glow on her face as Ram sheds his beard and gets into a new look, her looking into Ram's face as he blushes, the pain of getting to know several truths, the blushing happy moment as Ram explains how she looked when he saw her in a saree for the first time in a saree, the tears that stand at the edge of her eyes as she describes a dream that never turned real, the emotional breakdown at the end - 96 has everything we have been missing so far from Trisha. It's a complete emotional package that has given her extraordinary scope to make the audience fall for her like never before. Besides the dialogues, Trish's eyes speak volumes of the love, pain, longing, the parting and missing, for instance, the moment when Ram says "Apdi paakatha" (Don't look at me like that) with teary eyes, even the audience could not stop feeling for Jaanu. And it was a very wise decision to have Chinmayi Sripada dubbing for Trish, as the transition from a conversation to singing is very smooth and her voice perfectly suits the actress, with Trish emoting beautifully and realistically, as Chinmayi soulfully renders #Isaignani #Ilayaraja's classic numbers. 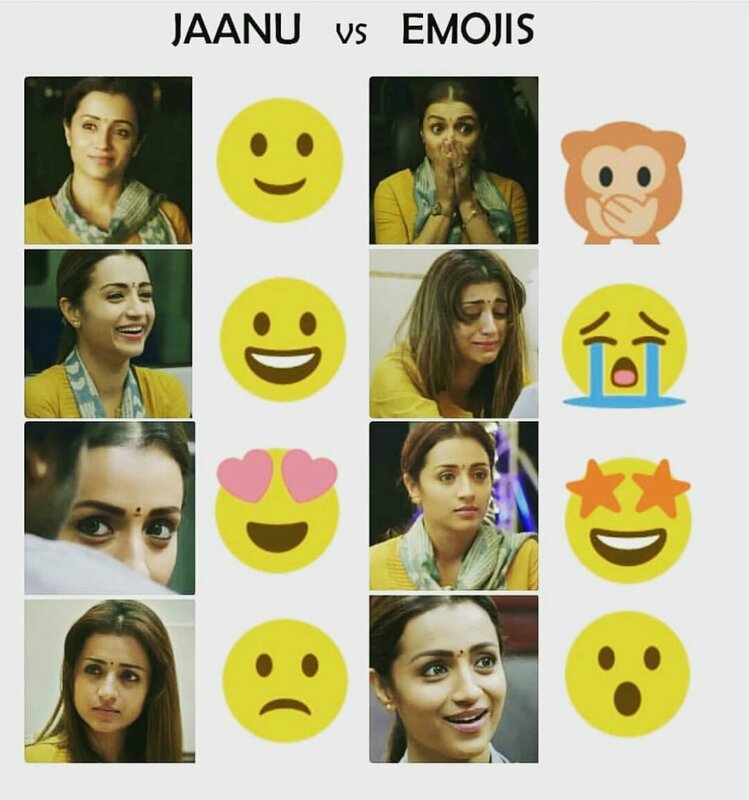 Trisha's emotions as Chinmayi croons the "Thendral vandhu" number, certainly take not just Jaanu's friends but the audience as well, into a nostalgic trip down the memory lane, and even minute expressions and body language, say for instance the slight movement of her head during the "Paavam Radha" of Yamunai aatrile, just wow! 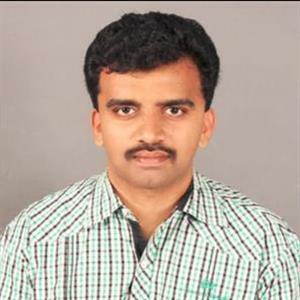 Chinmayi's lovely dubbing makes Jaanu even more lovable, even with the smallest of dialogues spoken, like a cute"Ammadiyov" or an "Aenvaam?". 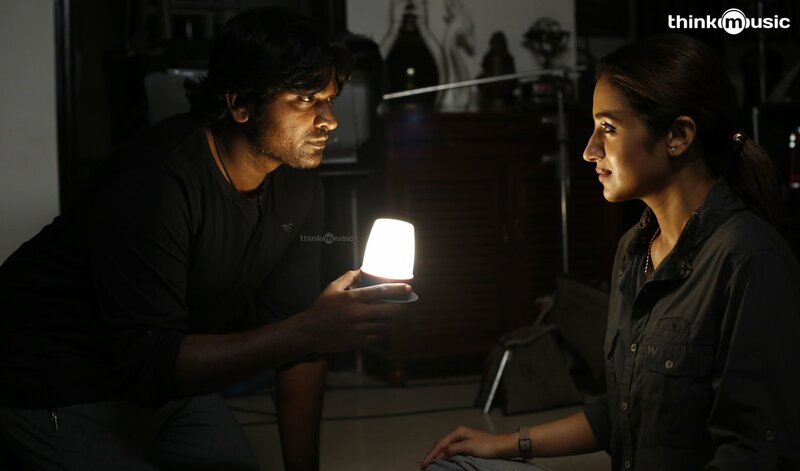 Jaanu will always be one special and memorable character for fans of Trisha, as well as all who loved #96TheMovie, and millions of thanks to Trisha for accepting the movie and delivering a heartwarming, Prem Kumar for casting her, and special thanks to Govind and Chinmayi Sripada for musically and vocally elevating Jaanu to greater heights and securing her a special position in our hearts. Hope Trisha capitalizes on this perfect restart to her career, and chooses the best scripts and wish our makers take a look into 96 to know that they've been missing to utilize this performer named Trisha and write unique, special roles for her from now, at least.